The model of the Doe Reclining dates from 1840. This Doe was also used in the group Family of Deer which includes a Stag, a Doe, and a Fawn. 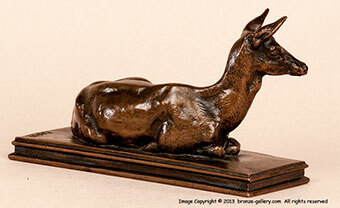 The Doe Reclining is the pendant or pair to the Fawn Sleeping, they face each other with matching simple bronze bases. 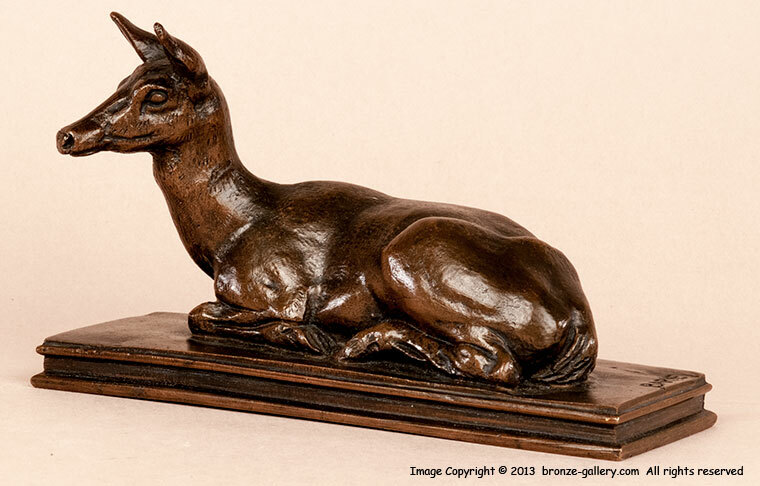 Barye captures the peaceful nature of a female Deer as she rests. This popular model was cast for some years, yet it is not easy to find a cast of it for sale. Our bronze is finished in a rich red brown patina.